Mesogio (Samos). 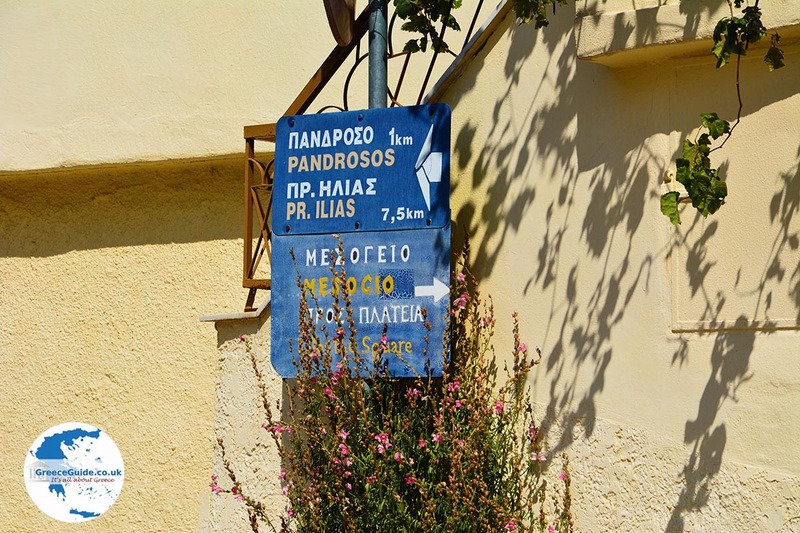 Mesogio is a mountain village centrally located on the Greek island of Samos. 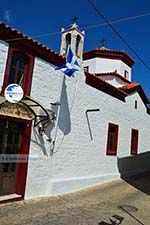 The village lies on the southern slopes of Mount Karvounis, 17 kilometres northwest of the town of Pythagorion. 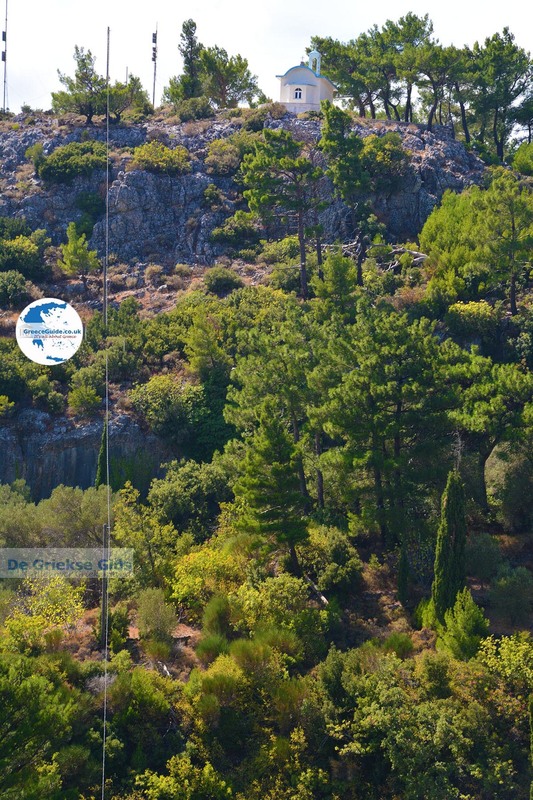 The drive from Pythagorion takes about 30 minutes. 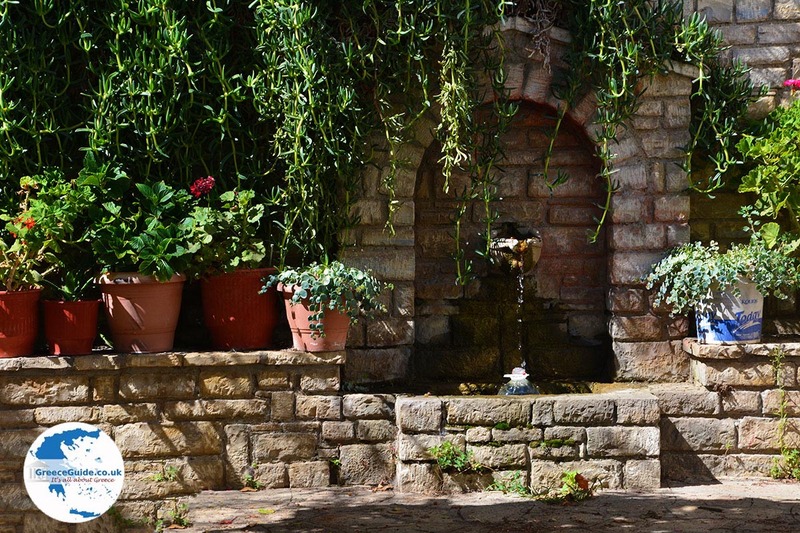 A visit is worthwhile to Mesogio, because of the beautiful nature. 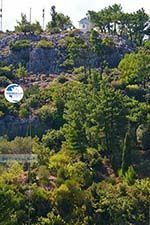 The village is surrounded by olive groves, vineyards, fruit trees, pine forests, it is located about 550 meters above sea level. 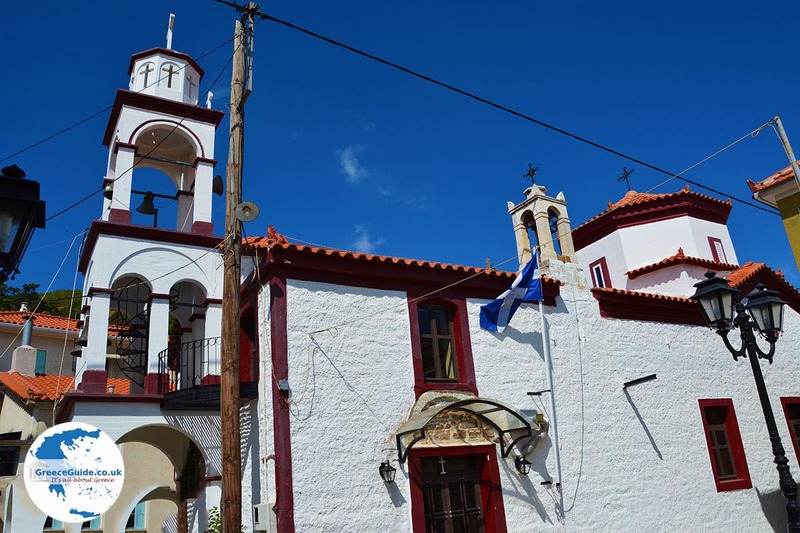 The village itself is also very beautiful, there are lovely whitewashed cottages, quaint narrow alleys, all kinds of springs and a church with a beautiful bell tower. 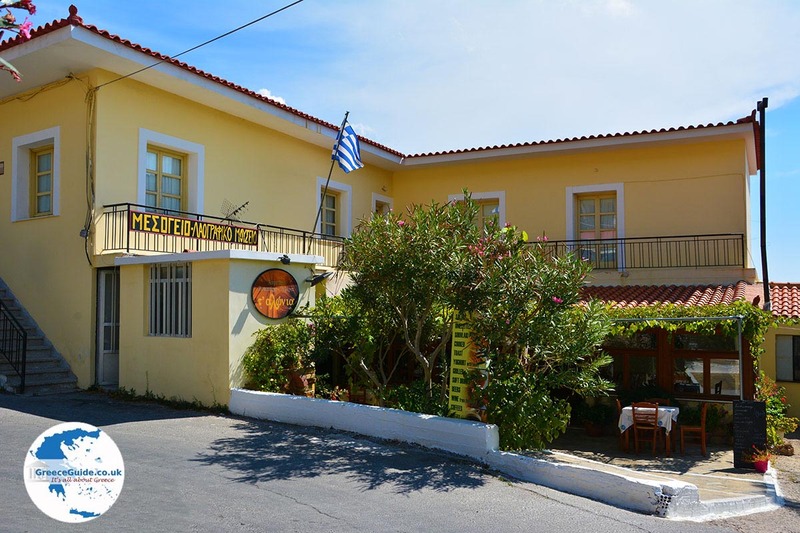 The village has a snack bar and a taverna, next to the taverna is the ethnological museum. 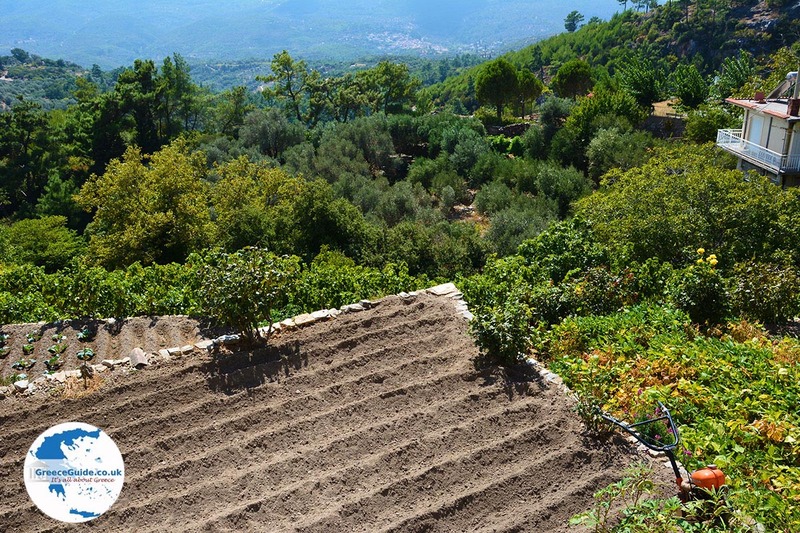 From Mesogio there are mountain paths. 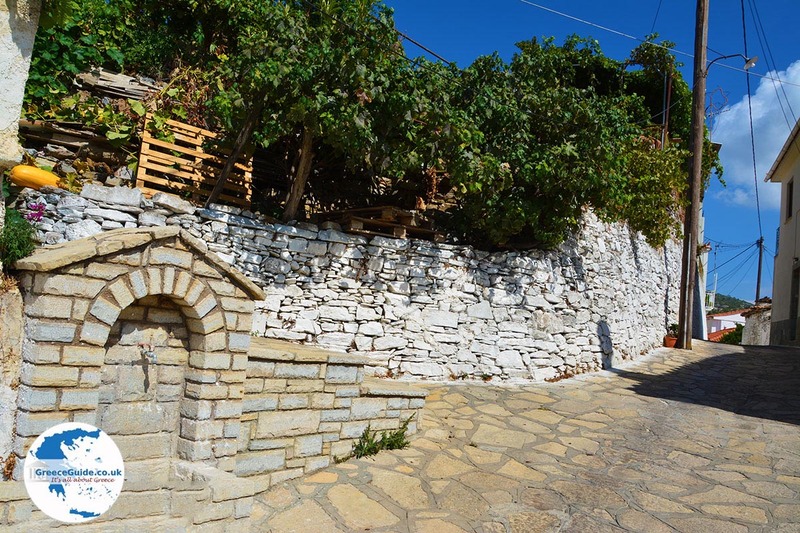 One kilometre from the Mesogio is the village Pandrosso located which is also worth to visit. 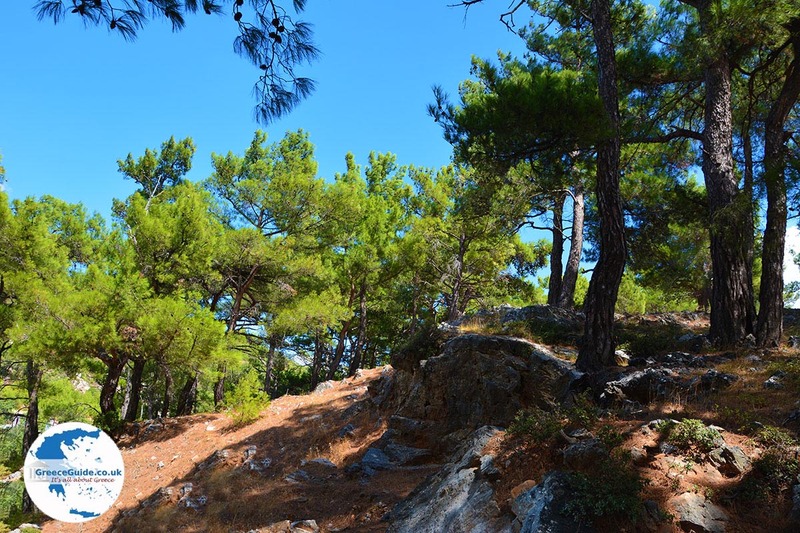 Pandrosso is very popular among hikers, because you can walk from here to the top of the mountain Karvounis (Profitis Ilias) and then to the north, to inter alia the villages of Manolates and Vourliotes. 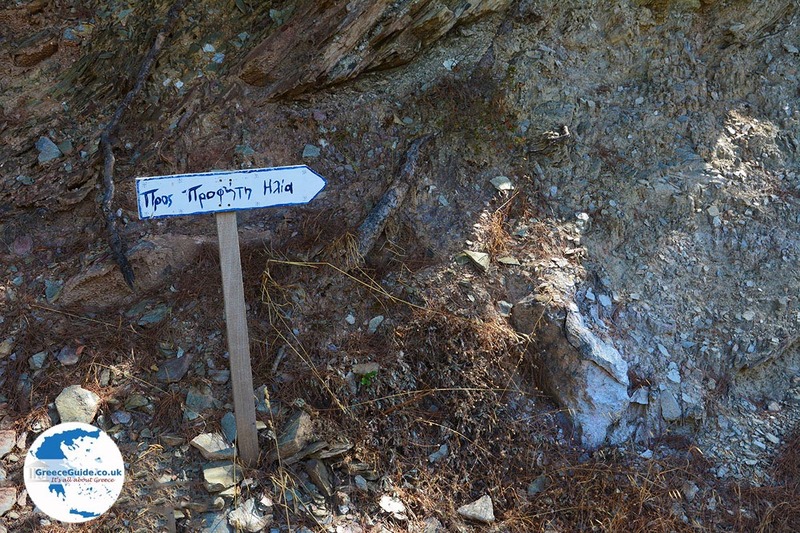 There are signs indicating the trail. 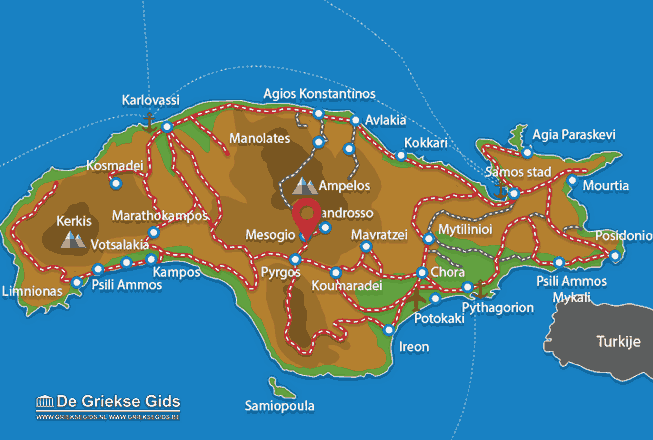 Samos: Where on the map is Mesogio located?